Good-looking and well equipped as standard. 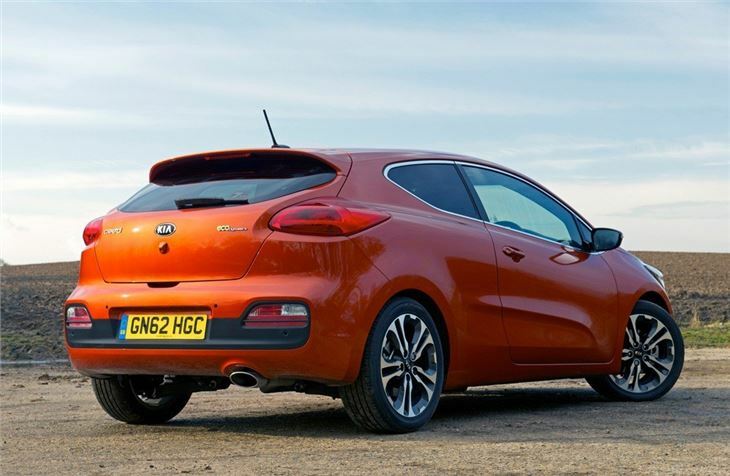 GT model is sufficiently sporty to feel fun while 1.6-litre diesel engine is swift and frugal. Long doors aren't ideal in narrow spaces. 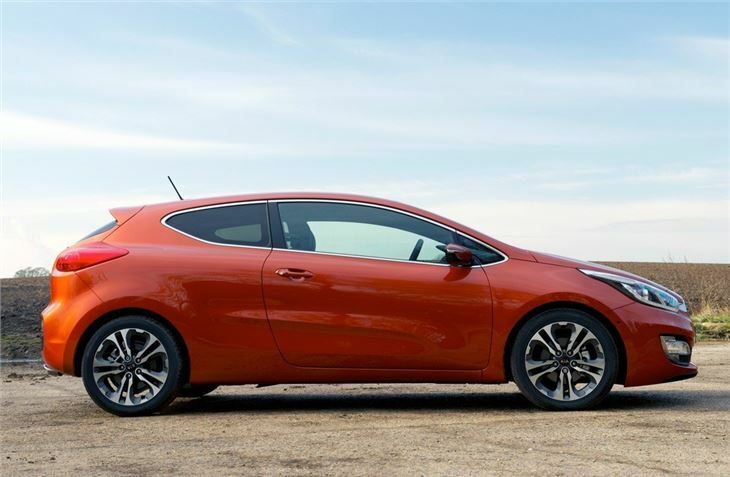 The Pro_Cee’d has the looks but is not a sporty drive unless you opt for the GT. 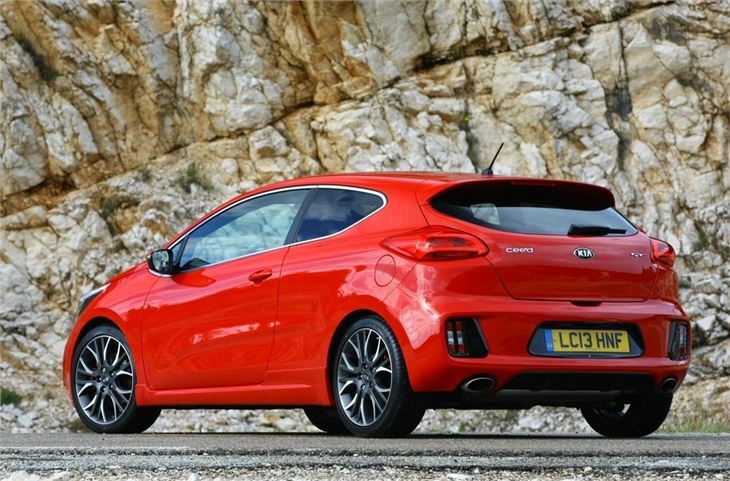 The Kia Pro_Cee’d avoids being just a three-door version of the Cee’d hatch by virtue of its more coupe-like roof line. It’s a handsome car that adds a sporting tone to Kia’s mid-size car, with the performance to back it up in GT guise. Opting for the Pro_Cee’d over the Cee’d means losing some of the five-door’s practicality, though access to the back seats is reasonable thanks to the long doors. You can also fit a couple of adults in there, though they may feel a little hemmed in due to the high window line. There’s no arguing about the space, quality and amount of standard equipment for those in the front of the Pro_Cee’d, though. 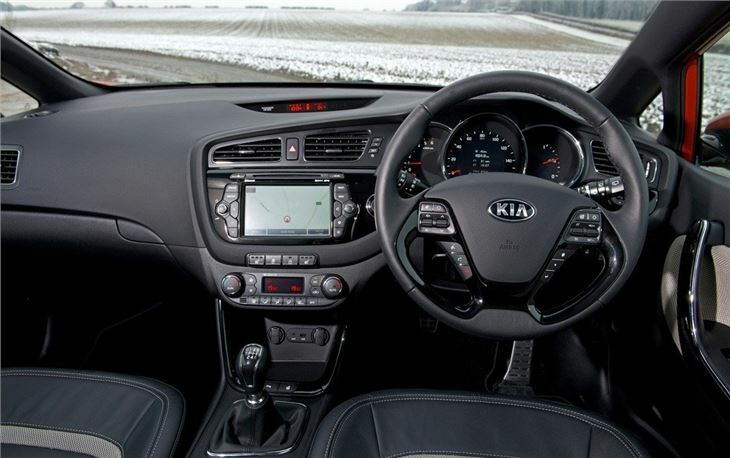 All models come with air conditioning, cruise control, Bluetooth, rear parking sensors and steering wheel controls for the stereo. You can choose from S, SE, SE Tech and SR7 trim levels, with the last one offering the lowest entry price. 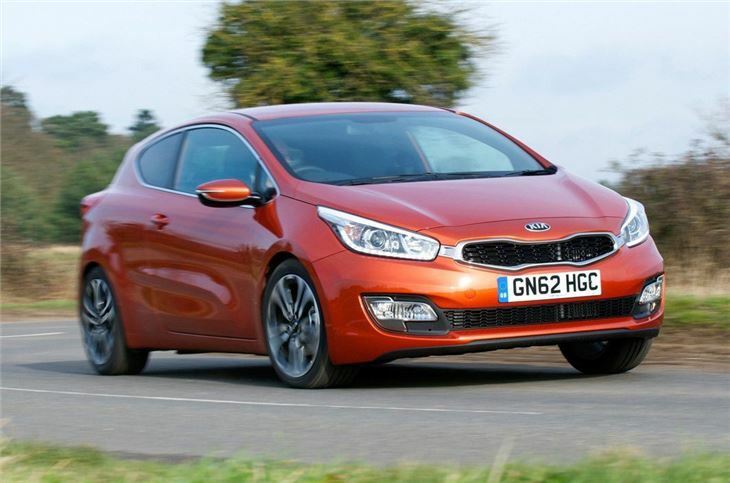 This means the Kia Pro_Cee’d is very competitively priced against the likes of the Alfa Romeo Mito and Vauxhall Astra GTC. There are also alloy wheels for every Pro_Cee’d model to follow through on the sporty intent of this model. In the 1.4- and 1.6-litre petrol and 1.6 diesel models, economy and emissions are on a par with most in the class, but don’t expect much in the way of excitement. 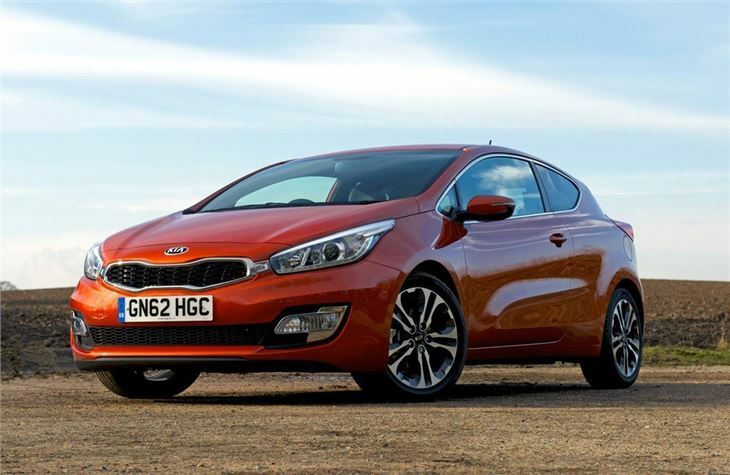 For more verve, you need to look to the Pro_Cee’d GT, which has a 201PS turbocharged 1.6-litre petrol engine. 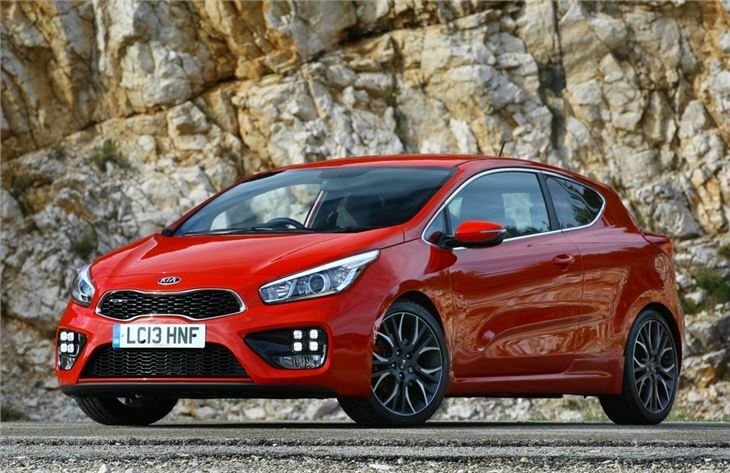 While it’s almost as powerful as a Volkswagen Golf GTI, the Kia is very much a warm hatch rather than hot one, so 0-62mph in 7.7 seconds is nippy rather than swift. Still, it’s good to drive, well kitted out and cheaper to buy than faster hot hatches. Nothing gets close to it for the money- NOTHING! !